Greetings from the far north! 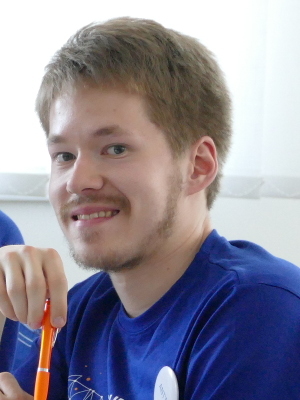 My name is Antti and I like all sorts of things mathematical. There’s just something very savoury about a well-structured, intuitive and dumbfounding mathematical proof. Basically, I like to look for problems and solve them. I especially like it when something is incomprehensible; that thing is then a mystery waiting to be unraveled! Mathematics is all very fascinating, but sometimes you also need to do some calculating. That’s hard work and I’m quite lazy. So most of the time I let the computer to do that stuff. Programming computers is difficult and time-consuming, especially if one doesn’t have the know-how. That’s why I decided to participate in the PRACE Summer of HPC program, where 21 students from around Europe will learn about data visualization and high-performance computing from the top experts. My home institute, University of Eastern Finland, in which I study applied physics, was more than happy to send me off to this prestigious international summer study program. 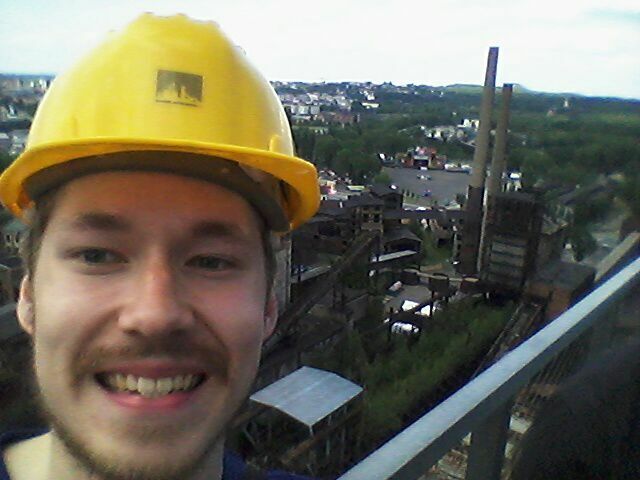 Here’s me on top of an old steel mill. It’s perfectly safe, you see: I have a helmet. Click on the image to go to a blog post about Ostrava, written by my friend, Dimitra. The first week of this program went whizzing by in Ostrava, Czech Republic, where all of us learned about parallel programming using all sorts of compute clusters, vectorzation in modern processor chips and data visualization using ParaView software. Days were spent on lectures and hands-on exercises and nights were spent enjoying each other’s company in local restaurants. Without a doubt, I can say that the last week was the most fun I’ve had for a long time! It also turned out that I’m a pretty good dancer, at least on the tables of an Irish pub. The next seven weeks I’m spending in Jülich, Germany at Jülich Research Center. It was originally the nuclear research center of West Germany, but gradually the nuclear physics research diminished while the presence of other disciplines grew. Nowadays, it is one of the biggest research centers in Europe carrying out top research in many different fields. My project concerns programming GPUs to compute Coulombic forces, i.e. the attractive and repulsive electric forces between charged particles, and to carry out these computations blazingly fast using the Fast Multipole Method. It roughly is an approach to solve the problem by clustering the particles into larger cells and computing forces between them. To make the code more accessible for more users and devices, I utilize an open source framework called Heterogenous-Compute Interface for Portability, or HIP. The framework enables programming for multiple types of GPUs simultaneously. I still don’t know the specifics of my project, but you’re are able to read the extent of it from here. Favourite boolean operator in C: ??!??! 1 Pings/Trackbacks for "Antti Mikkonen"